My Multi-Track Mind | Read. Listen. Share. Repeat. My Multi-Track Mind (MMM) celebrates indie music through mini features, full-length interviews, and seasonal playlists. All MMM content is presented in a raw, organic format with no paraphrasing—exact responses from contributors with no compromise. 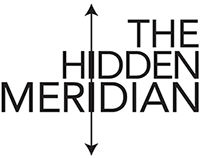 © 2017-2019 The Hidden Meridian, LLC.